Southern Bricks Event Round Up! 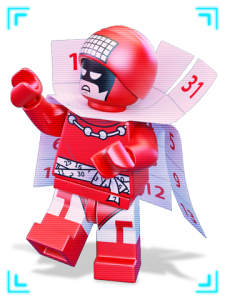 Calendar Man challenges you to save all these dates, Batman! On the back of our momentous incorporation news, Southern Bricks will be out and about in style over the next few months with the following scheduled events in addition to our regularly scheduled Lego Meets. So come along to join in the fun and play well! Saturday Sept 2 – SBLUGAU September Monthly Meet Up – Hamra Library, Hilton @ 1.00pm – Further details and discussion on our Facebook Event Page. The Iron Builder challenge for this month is the Tan Arch 1 x 5 x 4 Inverted piece, don’t forget your builds! Sunday Sept 17 – Special Event! Southern Bricks LEGO Ninjago Movie Preview Screening thanks to Reading Cinemas West Lakes! 17/09/2017 @ 3:30pm – Jump up, kick back, turn around and stay tuned to the Southern Bricks Facebook page and SBlug.club for ticket details, coming this weekend!!! Saturday Sept 30 & Sunday Oct 1 – Southern Bricks @ Brickgambier – Southern Bricks will be at Brickgambier 2017, a great rural event with all proceeds donated to the Wet Noses Animal Rescue. Further details available on their website. Sunday Oct 8 – SBLUGAU Lego Meet Up October 2017 – Hamra Library, Hilton @ 1.00pm – Confirmed for October! Friday Oct 13 & Saturday Oct 14 – Southern Bricks @ Inside The Brick Adelaide 2017 – Southern Bricks members will be exhibiting both days this weekend, including the return of our massive collaborative Lego Medieval Display! 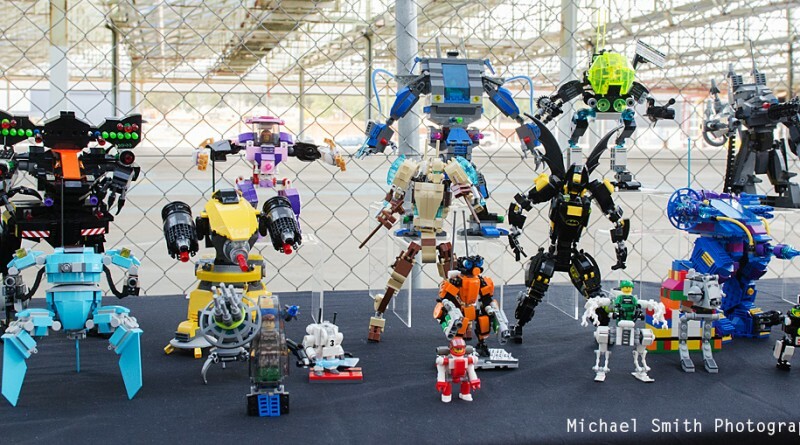 Saturday Oct 14 & Sunday Oct 15 – Southern Bricks @ SAPMA MODEL EXPO 2017 – Double whammy! Southern Bricks will also be out in force bringing the Lego back to the SA Plastic Modellers Association annual Model expo! Sunday Oct 29 – October #Brickstameet @ the Adelaide Botanic Gardens on North Terrace – More details to come, and if you’d like to know more about the fantastic #Brickstameet events, please visit their Facebook page. Always a great chance to learn the subtle arts of photographing your Lego in the wild, and enjoy some awesome company along the way. 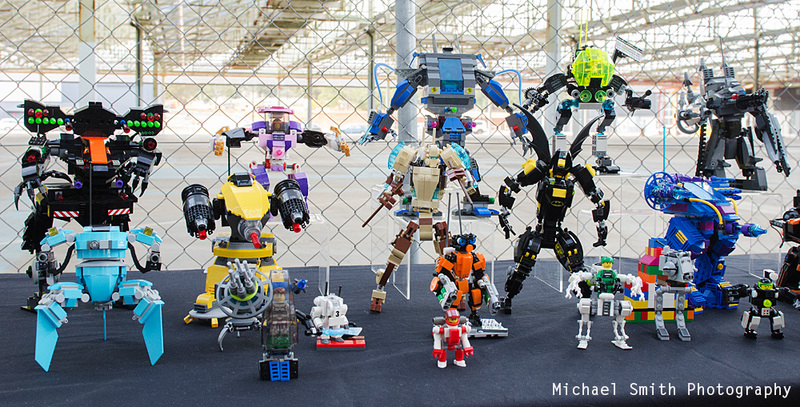 Sunday 5 Nov – SBLUGAU Lego Meet Up November 2017 @ Adelaide Maker Faire Tonsley – Further details will be announced at the September SBLUGAU Meet Up. 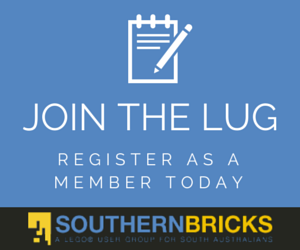 Saturday 25 Nov – Southern Bricks Annual General Meeting – Further details to come on our first AGM! Lots of business instruction booklets to read! Please note: Paid SBLUGAU membership will be open soon, and to vote for Community Builders Group positions you must be a paid SBLUGAU member by the 4/11/2017. Sunday 17 Dec – Southern Bricks Annual Christmas BBQ! – Mark your Calendars! Further details to come on one of our biggest events of the year! Awesome news! Can’t wait to get out there and BUILD!